I am so excited to share the secret side hustle project I've been working on in my spare time this year. I decided to start an Amazon FBA private label side hustle this year! Because there is so much to write about, I'm going to be breaking this down into multiple blog posts. I've been creating and designing my own physical line of products that are going to be available for purchase on Amazon. You might be wondering why I wouldn't want to create and sell products on my own website, but I'll get to that below. Before I begin, I want to remind that you I got my online start from starting this blog! I was a brand new blogger with no experience. Over the past few years, I've been able to quit my day job and blog full time. This lead to starting multiple online businesses, and now starting an Amazon FBA business. I also recommend reading the free workbook called 7 Ways to Boost Your Blog Income Overnight. This is a helpful way to increase your blog income. In technical terms, I started an Amazon FBA private label side hustle business, which falls under part of the Amazon FBA umbrella. In case you didn't know (I didn't, ha! ), FBA stands for fulfillment by Amazon. Private label means that I make the products and use my own brand, which will have its own trademark and be protected so no one can steal or use my exact designs, logo, etc.! Before I continue, I want to start by saying this is one of the hardest business models to start. It requires a decent amount of money upfront (for me anyways), so it was not something I could have started a few years ago! Becoming an Amazon influencer with an awesome shop! The first two items on this list are free and a great place to start! The majority of bloggers and website users take advantage of the first two items on this list because it is easy to learn and doesn't cost any money. The third option on the list is a little challenging, and it one of the most popular ways users sell on Amazon. This falls under the Amazon FBA umbrella and is called retail arbitrage. Retail arbitrage is when someone takes an existing item and goes to various stores looking to purchase them for a low price or as a clearance item. Then the seller mails them to Amazon, and Amazon turns around and sells them to shoppers. It's basically flipping. This was definitely something I wasn't interested in doing at all. I totally get it though, and people are earning an amazing income doing this business model part time and full time! What I was interested in was learning about was how to start an Amazon FBA private label side hustle that I could do in my spare time. Amazon private label is much more intense, more expensive and definitely riskier. But the payoff in the amount of income I could earn is limitless. Even though I was already busy trying to keep up with Believe In A Budget and Pinterest VA, my friend asked if wanted to basically shake things up and try something new. As a successful Amazon seller himself, I listened to everything he had to say, including the good and some of the not-so-good parts. My friend didn't sugar coat anything. It would be hard, especially in the beginning. I needed to be mentally prepared that it would take several months to get things off the ground. Income? Oh yeah, there probably wouldn't be any for a while depending on my business model and how much I wanted to reinvest into my side hustle. But if I stuck it out, put the time in and did the work, the payoff could be mind blowing. I'm all about having multiple streams of revenue, and Amazon seemed like an interesting one to try. So after hearing everything my friend told me about his experience with Amazon, along with all the pros and cons of being a new Amazon seller, I said no 😁. I kept thinking to myself, there is no way I can do this. I know absolutely NOTHING about Amazon, except how to use my own Amazon Prime account. I had a million reasons why the answer was no. I was short on time. I was tired. I had too many mini projects. I was struggling how to balance work life with personal life. But then…the wheels in my head started turning. I kept thinking about it more and more. What would I even create or sell? Am I smart enough to figure this out? What if I spend all this time and money and it's a total flop? That's when I realized I had found my passion project. I had been looking for something that would give me a creative outlet that could potentially be a new side hustle. I just liked the idea of learning something brand new, seeing if I can figure it out and then potentially earn a profit from it. My passion project didn't necessarily need to be a big income producer as everything with my blog and online businesses have been going really well income wise. I also didn't set myself up with high, immediate expectations either. In regards to time, I gave myself around nine months to learn about the process, create a product and have my first listing on Amazon. I was advised going into this side hustle that I would need to give myself six to seven months, so that's why I tacked on some extra time to this date. I knew I would be short on time with my existing schedule and tend to be a little slower when it comes to learning and absorbing new material. In regards to income, I told myself that I would like to earn my investment back in a year and would be happy with any type of profit, even if it's only $1. While I'll write about it in a later blog post, there were some definite start up costs outside of the course! As I have no idea which (if any) of my initial products will do well, my goal is to also have one product succeed. Everything is a test in the beginning and a lot of learning, so if I can have one product succeed and build around that product or modify the existing products, I will be happy. When it comes to longterm goals, I would love for Amazon to increase my overall monthly online income and be an additional revenue stream! My income will totally depend on how much I invest into my business. The more units that I have available to sell, the bigger my profit can be. For now, I am starting small and will scale up as needed. Because this is a side hustle business and I am financially prepared, I am comfortable reinvesting any profits back into the business in order to grow! Similar to when I started my blog, it took time for my online income to grow. In 2015, as a brand new blogger, I made around $14,000 my first year. In 2016, I transitioned into a full time blogger and made around $91,000. Last year, things started to grow pretty fast and I made around $290,000. This is a lot of growth in a pretty short amount of time, and it's a result of working hard. Here's the short answer – I couldn't adjust my daily schedule. While I love the flexibility of my blog and business, I primarily work Monday through Friday. Of course, this can change if I'm working on something time sensitive. This hasn't always been my schedule though. I shared my story of what it was like to be a part time blogger back when I had a regular day job, as well as another updated daily schedule on what it's like to be a full time blogger that's from a little over a year ago. As life changes, my schedule changes, so what's working now might not work six months from now. But having the flexibility to pivot and make a change is a good thing! The only time I could work on Amazon was in my spare time, which meant working on things primarily late at night. I'm not going to sugarcoat this; getting back into a side hustle mode was hard! Mentally, this was a big adjustment. I forced myself to go back into ‘survivor' mode with the Amazon business and treat it like my income and future depended on it. I had to to forget about any success and comfortability I had with Believe In A Budget and Pinterest VA, and treat this business like it was the only thing I had going for me. When I would typically be getting ready to go to bed, I would get the good ol' laptop out and start working. Back in 2015, I was still at my day job and working long days. I had just started my blog and was totally new to the blogging thing. I was spending all my free time trying to learn as much as I could about blogging. This meant working late nights, weekends and even during my lunch breaks. I wanted to be a full time blogger so much and was so motivated to work for myself, that I made it happen. For roughly ten months, I worked at my day job and blogged around the clock. While it sounds easy, it was a lot of work to turn my blog into a reliable, full time income. Fortunately, my hard work paid off. It took me roughly four months to make money online, which I share in this online income report. From there, my income kept increasing and my life totally changed. These past three years have been crazy good! While I would love to say that I only work part time or even just 10 hours per week, that's not happening. In reality, I put in a full work week in order to run both businesses and work on Amazon. Once I was ready to commit to starting this new Amazon side hustle business, I purchased a course that my friend recommended. There's no way I could have figured out anything on my own, so taking a course made the most sense. I wanted to learn from experts about the right way to do something. I didn't have time to scour the internet and find bits and pieces of free information, so purchasing a course from experts was the right choice for me. The course itself was definitely an investment. I was nervous about the purchase – it had a four digit price tag. For a lot of people, this course isn't affordable. I stressed about the cost because I knew if I purchased the course, I was committing to not only the course, but to all the things. Starting a new company, sourcing products, learning Amazon…basically everything! This course is considered one of the best, if not the best, Amazon courses available. Before making such a big purchase, I definitely reviewed my finances to make sure this was a smart investment. Are there cheaper courses out there? For sure! Always do your research and find a course that fits your budget. If you want to take a course, but can't afford it, that's ok.
My suggestion is to start saving and only purchase when it makes sense for your budget. Never go into debt to purchase something. The course will be there for you when you're ready! 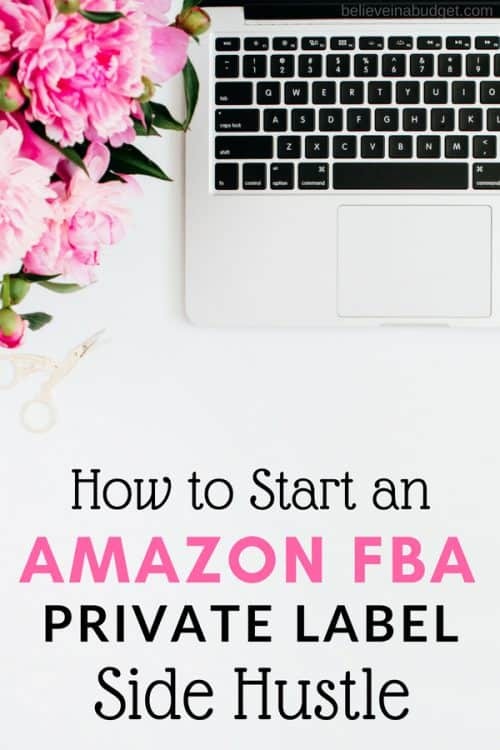 Also, don't be fooled into letting any courses or ‘experts' make it seem like starting an Amazon FBA private label is simple and easy. There are a lot of steps required, upfront fees and a whole lot of work. Things are not simple! The process to get things like barcodes, applying for a trademark, setting up your own Amazon brand registry and ordering products can take months. I know this is a lot of info and you might not know what I am talking about yet (you will later on! ), but trust me on this – part of the process is just waiting weeks or months for things to happen, get delivered or get approved. For the past several months, I've been slowly going through the course material. Because of my time constraints and I'm naturally slow when it comes to learning new things, I've been completing about one module per month. As I go through each module, I'm also applying the material and taking action. Each module is time consuming and requires me to put in a lot of work. I want to make sure I fully understand everything I'm doing, so I'm probably a slower learner compared to other people in the course. Learning how Amazon private label and FBA works from a business seller perspective (not as a consumer who just makes purchases with a Prime account) has been like learning a foreign language, ha! The beginning stage was the hardest. I was so frustrated the first couple of months and was ready to quit. Nothing made sense and it wasn't clicking for me. But, I powered through and rewatched the lessons, kept taking notes and kept applying the material. The first thing I had to do was pick my product(s) and I couldn't pick one. It took me two to three months to lock in on ONE item for my to order – ugh! In the beginning, every item I selected was the wrong item. The ROI (return of investment) was too low and didn't meet the criteria for finding and creating a product that would be great for the consumer as well as great for me. Another struggle I had to overcome was how I was treating this side hustle. Having launched this blog and Pinterest VA, I feel pretty good about what it's like to build a company and create a brand. With Amazon, even though I'm creating a brand, the focus is selling my product(s) on Amazon. It's not about creating my own website, selling though my own shop or creating a blog. It's all about how to sell on Amazon and utilize Amazon's audience. Now, will all these things matter in the future? Probably. But it's not the primary focus right now. The next struggle I had in the early stages was my brand. Believe In A Budget and Pinterest VA is a reflection of who I am. When it comes to Amazon, it an online e-commerce shop. It doesn't have to be personal at all. It's about buying and selling products. For example, when I buy wee-wee pads for my dog, I don't really think about who the seller is and if they have a deep connection with their product. To me, it's just a wee-wee pad. I'm just making a purchase and they are just supplying me with what I need. That's it. This is where it got hard. The course I've been taking uses a really logical and methodical way to find products to create and sell via private label, and that was hard for me. Their method really makes sense and I totally get it. I wanedt to make it personal because that's the only way I know how to do something. While I know it's business and I need to be able to separate business from my personal life, I still wanted to build a brand that has personal meaning. I still followed most of the rules though! There is a lot of work that goes into researching products and determining what would be a great product to make and sell. The hardest thing for me was that I didn't just want to select any old product, even if there was an audience that would buy it. I wanted to create products I fully believed in. They needed to be items that my friends, family or I would already use in our daily lives or want to use. I needed a personal connection to everything I made so I could tell a story about why it was important. Side note – the course doesn't really train your brain to think like that and I totally understand why. Being an Amazon seller can be exhausting. For many sellers, it's a completely unemotional experience between a seller and their products. For myself, I knew it was going to be a little more personal and an emotional process with lots of ups and downs, ha! Did the learning process get easier with my Amazon FBA private label side hustle? As the course training progressed, things did not get easier. Each module was lengthy, full of homework and required me to put in a lot of work on my end. It was a lot of grinding! This is also the first time in a long time – even more so than starting this blog – that I've been nervous about a project. I've really struggled with my confidence. I worry about failing. I worry that my items will be a flop. I worry that I'll get all negative reviews and one star ratings on Amazon. Basically, I'm stressed about everything! If I want to focus on the cons, I've invested nearly eight months of my time working and investing money on a side hustle that I have no idea will make me any money. But I don't mind this – I am ok with failing because I'll have learned how to do it better for the next time. On the plus side, I've learned a ton about how Amazon works and how to create and design my own products. I'm also really good at looking at the big picture. I'm not trying to start a ‘get rich quick' scheme and I don't believe in ‘overnight success stories'. I have always believed that if I put in the work and work hard, there will be payoff down the road. What's next in this series? I hope you enjoy my new blog series with my Amazon FBA private label side hustle! I to started an Amazon business. I saw sales almost immediately, which held steady for about a year. 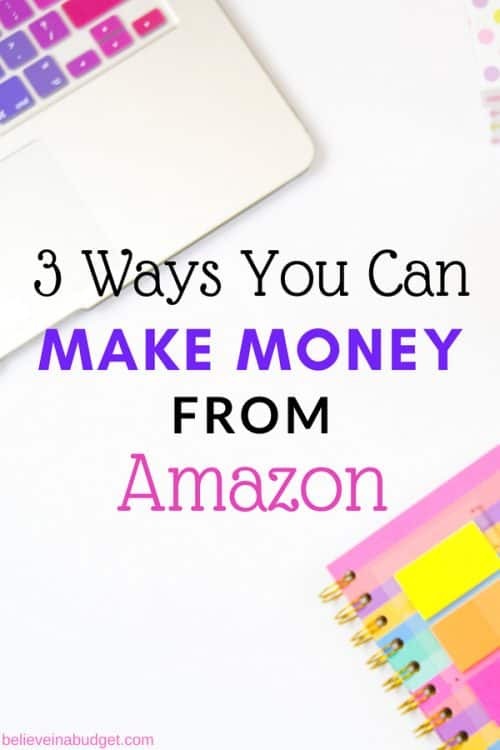 In the end, I shifted my focus to website investing instead, but I do think Amazon is a great way to earn extra income and learn a lot about e-commerce. Great news! Looking forward to reading more about your new amazon adventure. Good luck! Congrats on the new business! My wife and I had a private label FBA brand a few years ago. We launched with one product and it started selling almost immediately. It was a good business for us for about 2 years, but ultimately we didn’t really enjoy it so we sold the business and moved on. There is a ton of potential on Amazon, so best of luck with your business. I have been an FBA seller and coach for the last 4 years. Be careful of what courses you choose to buy. I have helped many people out of bad situations after launching PL products on the advice of a 4 digit course. There is a lot learn so focus on the basics first. Exciting news Kirsten! Can’t wait till next week to find out what you’ve done! I have been following your blog for so long and I truly believe you will be super successful because you have the drive and optimism to keep it going … congrats on your new venture!